The tourism industry in Egypt is experiencing a gradual and continuous recovery, with numbers of tourists increasing in Q1 of Fiscal Year 2012. The Egyptian Tourist Authority announced today that there is a noticeable increase in number of tourists pouring into Egypt, where rates increased by 32% during the first quarter of 2012 compared with the first quarter of 2011. The number of tourists reached 2,500,301 between January and March as opposed to 1,894,044 tourists during the same period last year. These figures reflect a gradual and continuous recovery in the tourism industry in Egypt, reiterating its position as a hub for the region's most important historical, cultural and artistic events. Recent figures reflect that fact that Egypt remains to be one of the favorite destinations for tourists from around the world. Figures show that number of tourists in March 2012 reached 926,784 tourists while in February 753,451 tourists visited Egypt and 820,066 did so in January 2012. As for Emirati tourists who visited Egypt during the first quarter of this year, records show that4,883 were present in Q1 2012 compared to 4,232 tourists during the same period in 2011, which shows an increase of about 15.4%. Furthermore, the number of nights Emirati tourists spent in Egypt is about 61,000 nights, compared to approximately 57,000 nights in the first quarter of 2011, which again shows an increase 6.4%. In addition, the number of Emirati tourists was recorded at 2,171 tourists during March 2012, an increase of 80% compared with 1,206 tourists in March 2011. The number of Arab tourists who visited Egypt during the first three months of this year is 483,834 tourists compared to 296,980 tourists during the same period in 2011, which shows an increase of about 62.9%. In addition, the number of Arab tourists reached 173,709 tourists during March 2012, an increase of 50.2% compared with 115,669 tourists in March 2011. Furthermore, the number of nights Arab tourists spent in Egypt is about 7.4 million nights, compared to approximately 4 million nights in the first quarter of 2011, which again shows an increase 84.4%. Amr El Ezaby, Chairman of the Egyptian Tourist Authority, said: "These figures reflect the gradual and continuous improvement witnessed by the tourism sector in Egypt. The number of Arab tourists dramatically increased during the first three months of 2012 compared with the first quarter of last year, and that amounted to about 62.9%. There is an overall increase of 32 between both quarters, almost double the amount. Moreover, if we examine the number of nights spent by Arab tourists, we find that it was raised by 84.4% between the first quarter of 2012 and the first quarter of 2011, while the percentage increases in the overall rate of nights spent by all tourists across quarters is about 37.9%. This shows that the Arab tourist spends more than double the time a foreign tourist spends in Egypt, which emphasizes the special place Egypt has within the Arab population." 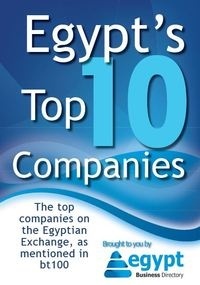 El Ezaby added: "The Egyptian tourism sector has been able to reduce the negative consequences of Egypt's sensitive situation over the past year. Despite all the challenges, it also achieved continuous growth month after month." The figures continue to confirm the positive growth trends in the number of tourists coming to Egypt. They also reflect the growing confidence in Egypt and the leading spot that Egyptian tourism industry holds at the level of global tourism industry. Additionally, the numbers show the gradual recovery witnessed by the Egyptian tourism industry and the general tourists' movement. During the first quarter of this year, the tourism sector managed to reduce the drop to 27.8% compared with the first quarter of 2010. While the proportion of the decline reached 45.3% in the first quarter of 2011 and 33% through 2011 and 2010.